Despite the fact that more and more states are leaning towards legalizing the recreational use of marijuana, it is still illegal in New Jersey and is also federally considered a Schedule I drug. Individuals who do break the laws regarding marijuana possession in New Jersey will face significant consequences. The consequences are even more severe if the amount of marijuana that the individual has in their possession leads law enforcement to believe that they had the intent to distribute the drug to other individuals. Anyone who has been arrested on marijuana possession charges should retain the services of an experienced criminal defense attorney as soon as possible. 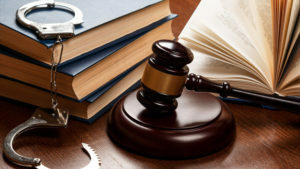 An experienced attorney can look for all possible defenses on behalf of the individual who has been accused and determine if they qualify for Drug Court, Pre-Trial Intervention, or Conditional Discharge. Any criminal defense matters require strong legal representation, as the penalties are very significant and life-altering. If you have been arrested for marijuana possession in New Jersey, contact our firm today.